Here are some helpful tips for LightSpeed users looking for genres and collections. LightSpeed, hoopla’s next step to empower your evolution, will be arriving very soon. As we continue to improve hoopla digital’s mobile and online experience, your valued feedback (and that of your patrons) plays a vital role. LightSpeed ­ - an app evolution for brighter connectivity – is a direct reflection of how we are listening and incorporating this feedback into our most comprehensive upgrade to date. 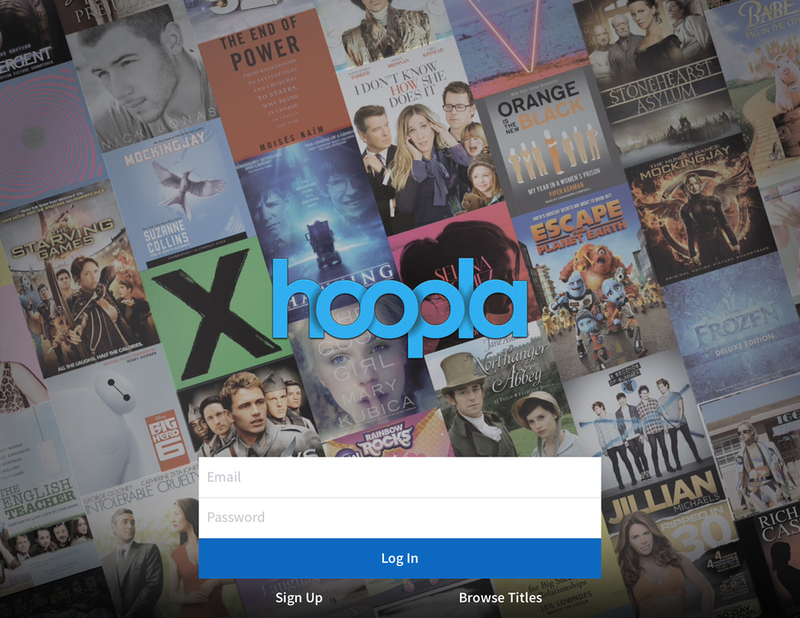 Your patrons will be able to experience, explore and enjoy hoopla digital in a new way that’s faster, brighter, easy-to-use and always available. And, as always, hoopla digital is committed to serving you through and beyond this new app launch. That’s why we want to connect with you first, to share some of the more exciting aspects and important items you’ll want to share with patrons, so everyone’s hoopla experience is seamless. Patrons will need to log in using their password (which they may or may not remember). hoopla will be glad to help in response to patron password inquiries. Patrons (iOS users only) with active downloaded content will notice that updating to LightSpeed will delete their previous download (s). These are, however, still accessible, and only need to be re-downloaded – not re-borrowed - to enjoy offline. With your help, we think we’ve created LightSpeed to be everything your patrons desire. Make sure to tour LightSpeed. See what hoopla digital has to offer in a whole new light! We are excited to pass along some great coverage from our friends over at Library Journal. Matt Enis goes in-depth with hoopla founder and Vice President Jeff Jankowski and provide a great preview of what to expect when LightSpeed rolls out across all platforms later this week. Be sure to head over to Library Journal for more details! Last week, we showed you the new hoopla Home Screen. This week, we wanted to show off the new Format Home Screens. These new, graphic driven marquee panels help users quickly discover and connect to featured artists, titles or collections. 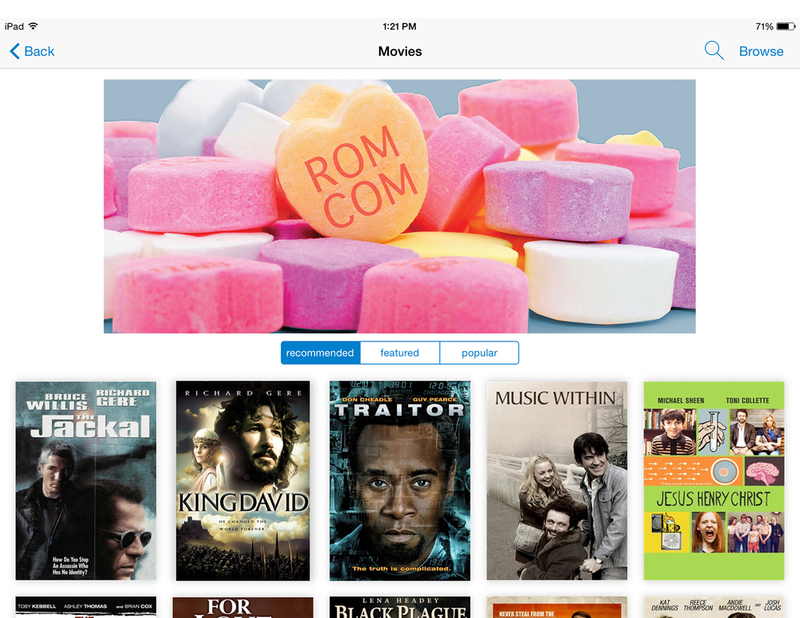 Part of these new Format Home Screens is the enhanced, high-resolution artwork and improved information that help users focus in on each of the over 275,000 titles now available on hoopla. With a little help from technology, LightSpeed looks at genres users have borrowed from and suggests additional titles based on borrowing history in the new area marked Recommended. Our current collection New & Notable gets a bit of a change, and is now called Featured. These titles are cultivated by our marketing team, who have been charged with finding titles of user interest since the launch of hoopla. The last filter on the Format Home Screen is Popular. These are titles that are now listed as Top Titles, and are the best circulating titles across the hoopla service. If you missed last week's sneak peek, be sure to check out the original post.